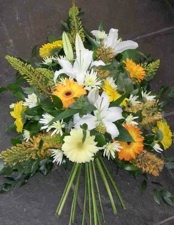 We produce a beautiful range of hand-tied bouquets for all occasions including birthdays, weddings, anniversaries, Mother's Day, Christmas and Valentine's Day. 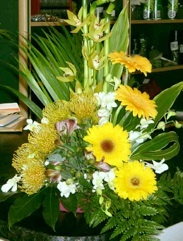 We offer both modern and traditional designs to suit the recipient's taste of flowers, colours and style. We can suggest floral selections for any special occasion, or you can create your own if that special person has a favourite bloom. 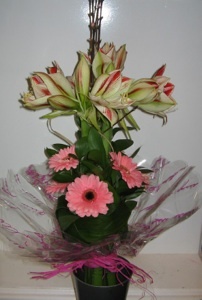 Our hand-tied bouquets start from £25.00, so we can provide a lovely bouquet within your price range. 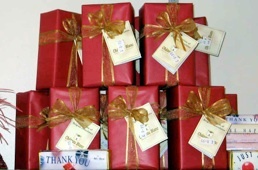 All bouquets are arranged, presented and wrapped by trained florists. The bouquets come complete with a gift card, your own personal message, care card and conditioner for your flowers. We offer a 'Same Day' delivery service to addresses in our local area covering South Woodford, Wanstead, Woodford, Buckhurst Hill, Barkingside, Chingford and Chigwell areas. We also offer a 'Same Day' delivery service to other parts of East London or South Essex, if ordered by 10 a.m.
We also offer a 'Next Day' delivery service to anywhere in the UK, via Royal Mail. Next Day deliveries are guaranteed to arrive at any UK address before 5 p.m. on the requested day, except Sundays and UK Public Holidays. If you want to take advantage of our 'Next Day' service you need to order before 12 noon (order before 12 noon on Saturday for a Monday delivery. 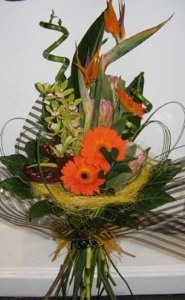 Morgans of Chigwell is an established floral designer in South Woodford, East London, providing flower bouquets, floral arrangements, plants, balloons, chocolates, greetings cards and gifts for all occasions. 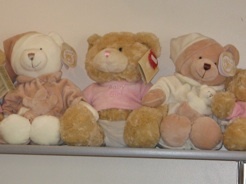 For that extra special personal touch, why not add an adorable teddy, a balloon, Belgian chocolates or a vase to accompany your beautiful fresh hand-tied bouquet. Ensure that the vase you select is very clean as bacteria in the water can kill flowers by blocking the stem which stops the flower from taking up water. Add flower food to the water. 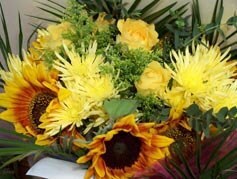 All our bouquets have sachets of cut flower food attached. Flower food helps to prolong the life of the flowers by feeding them and also helps to stop bacteria from blocking the flower stems. 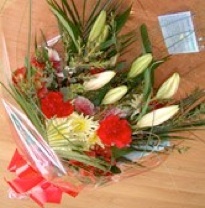 It is important to take your flowers out of any cellophane or aqua-pack. 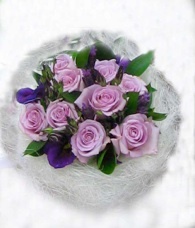 If you have a 'Hand Tied' bouquet remove all the packaging but do not untie your flowers. 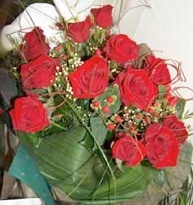 Before putting your flowers into the vase cut the end of the stems at an angle using sharp scissors (cut off approx 1"). 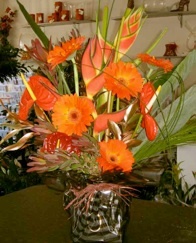 Cutting the stems at an angle provides a larger area for water uptake, and stops the stem from sealing itself against the bottom of the vase. 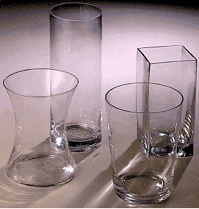 Remove all the leaves below the water level to prevent the formation of bacteria in the water. 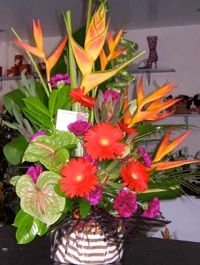 Try to keep your flowers in a cooler part of the house avoiding direct heat, sunlight or draughts. Remember, fruit produces ethylene gas which prematurely ages flowers, so don't place your flowers near fruit . 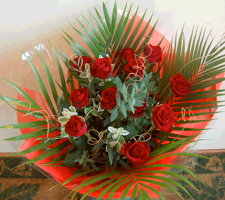 It is important to change the water on a regular basis and re-cut the end of the stems. Some dying flowers also produce ethylene gas which prematurely ages flowers, so remove them from the vase as soon as they start to die. 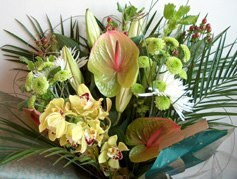 What not to do - There are all sorts of 'tips' on keeping your cut flowers for longer. 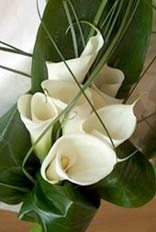 Don't put flowers into a vase with aspirin, lemonade or bleach. These don't work. Also, don't smash or pierce the stems as this damages the flower's ability to take up water and also enables bacteria to multiply more easily.